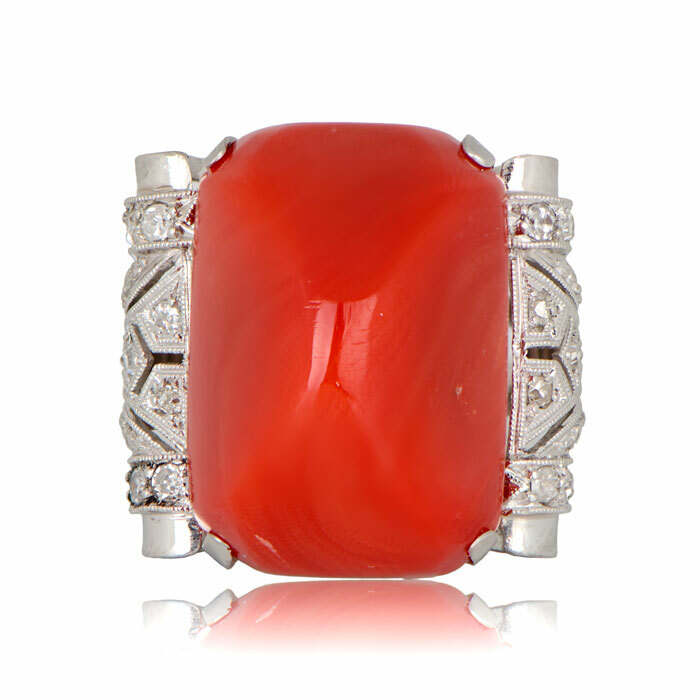 A lovely antique coral cocktail ring, featuring a beautiful cabochon coral mounted in a handcrafted platinum setting. 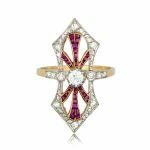 Diamonds, openwork, and milgrain along the gallery add to the delicacy of the ring. 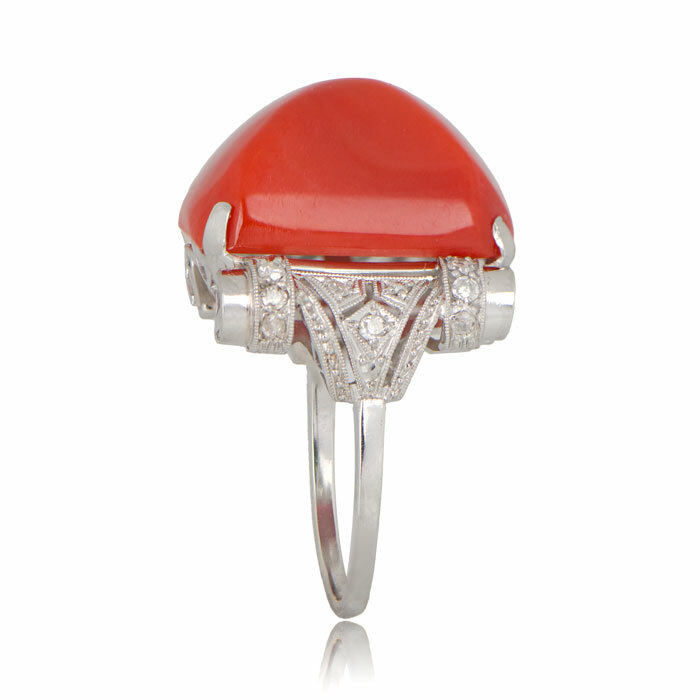 The coral is approximately 21 carats. This cocktail ring was made circa 1920. If you have any questions, please feel free to contact us. We will respond within 1 business hour. 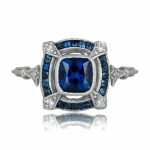 SKU: GS150 Category: Vintage Cocktail Rings - Contact us and request additional pictures.